My husband’s family is Danish and Swedish, and we make these every year and call them Choklad Biskvier. They’re best made with a helper, though! I had these once in a bakery in Connecticut and thought it was one of the best cookies I ever had so I was so excited to see this recipe. I made them and they were even better that I remember! I am from New Orleans where food is pretty much king and it’s been so much fun to try out your recipes for friends and family. Thank you very much! I love your blog and just made this recipe. I can’t wait to try! Should that not be 3 teaspoon coffe and 3 tablespoon cocoa? Should that be egg whites? Can you whisk yolkes to light and fluffy? I have never heard of these beautiful treats! But then, I’m not Icelandic. I will definitely be making these for the holidays. They are beautiful and sound delicious. 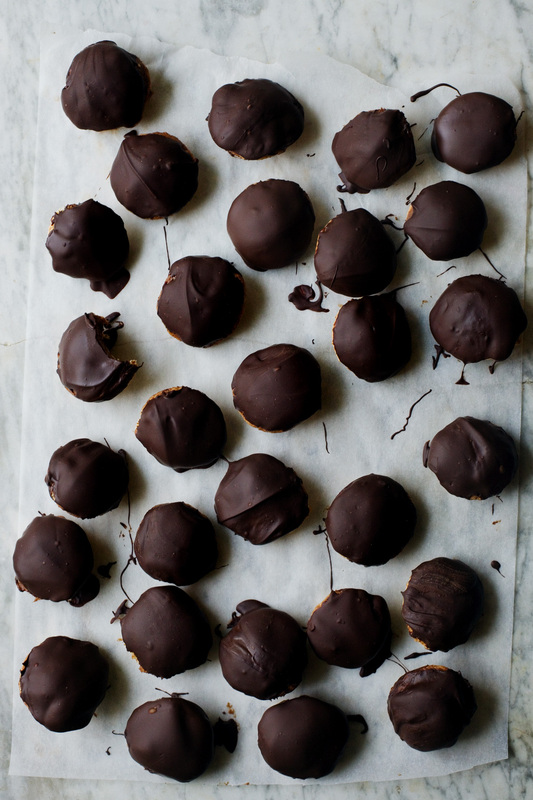 A little different from your basic truffle. Merci! Je voulais vous remercier pour toute vos recettes, je les adores toutes et je me suis mise à faire des gâteaux pour mes enfants alors que je cuisine que du sale et que j’avais du mal avec les gâteaux.